and I want to give myself to you. sleep is a short death. 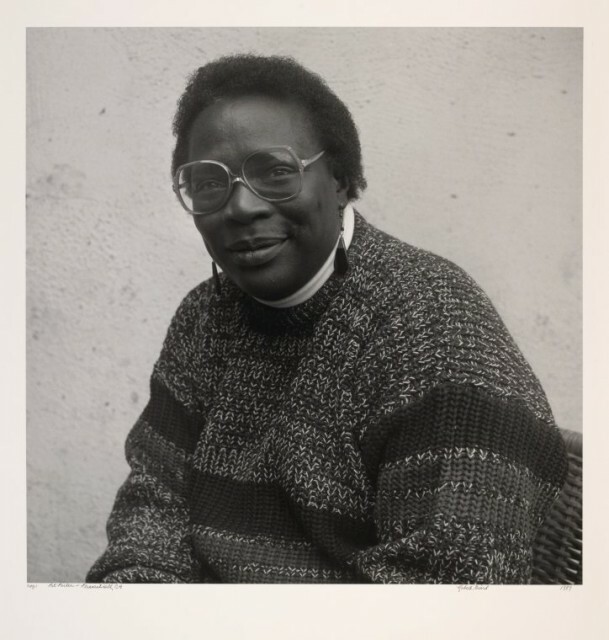 Pat Parker (1944-1989) was a Black-American lesbian and feminist. She was born in Houston, Texas, and lived and worked (at a women’s health centre) in Oakland, California, from 1978 almost up until her death from breast cancer. Racism, misogyny, homophobia – Parker “kept it real” about such facts at numerous poetry readings throughout the 1970s. She had had two marriages – and raised two children from them – but when her second marriage ended in divorce she journeyed down a different road, stating: “After my first relationship with a woman, I knew where I as going.” Known for her “hard truths” in poems such as “Exodus”, “Brother”, “Questions” and “Womanslaughter”, Parker also had a whole other lesser-known side to her as a poet who made love poems – several of which we present here. Some are tender and euphoric and one – “For Willyce” – has Parker’s characteristic ‘edge’.